Back for the Autumn term 2017 and I am nearly on a year on from taking over the helm here, and wow! 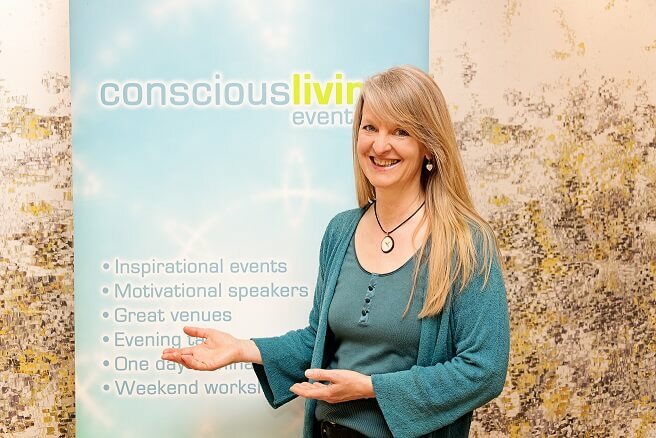 how many incredible events have already been and gone – several rebooking for next year, thats how popular our amazing speakers, performers and teachers are. Wonderfully I have kept up with the interviews on Chi Time radio and TV for all our guests, so keep checking towards the end of your favourite speakers event page as we sometimes book well in advance – to give you Super Early Bird discounts – and the Chi Time chat comes in a little later, unless we’ve one from the last time! The Conscious Living ethos concurs beautifully with my Chi Kung/Qigong practice where the approach encourages increased awareness of how we use our bodies and place our minds, plus insights into personal energy management, mediation and keeping our ageing bodies vibrant and juicy! For more on Chi Kung see My website and/or come along to the Primordial Qigong training on November 12th this year in Bournemouth, truly powering you up from inside out. I only invite inspiring speakers to Conscious Living Events and therefore Chi Time . Accessible people who clearly walk their talk and have nifty ways to encourage us along our chosen paths of truth and trust. I love how the speakers intertwine their expertise, giving us a breadth of understanding and experiencing the reality of Now. I really feel our conscious community is building massively, greatly motivated by events like the wonderful ones we organise – as here we can be amongst our tribe of fellow love mongers, accepting and growing with each other, garnering our collective heart wishes for encouraging a harmonious and happy life together in these challenging times — we love and learn together all the time, great discussions often ensue in the bar before and after events. I look forward to catching up with you at an event very soon. Thank you for reading, may the CLE chi be with you!